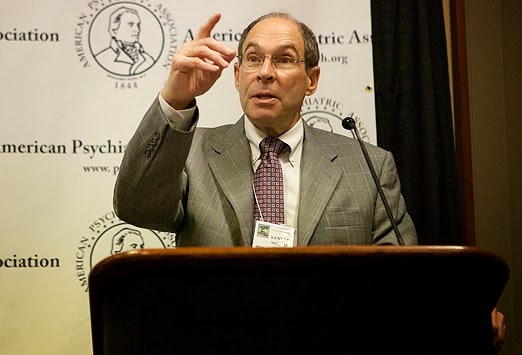 It found that a diagnoses of ADHD, as well as that of conduct disorder, two supposed brain disorders (if you listen to the biological psychiatrist dogmatists), are major risk factors for the development of adolescent obesity. Not only that, but the mediating factor was shown to be physical inactivity and not binge eating. So what’s so intriguing about this? Well think about it for a moment. What does the the “H” in ADHD stand for? Hyperactivity. These supposedly hyperactive kids are somehow showing signs of an inactive lifestyle? This is even more amazing when you think about the fact that the main treatment for ADHD is drugs like Adderall, which are well known appetite suppressants. "In general, people think of children with hyperactivity as moving around a lot and therefore should be slim" so this connection seems counterintuitive, senior author Alina Rodriguez was quoted as saying in a Medscape article about the study. What an understatement! Maybe it's because they aren't hyperactive most of the time at all, but only under certain environmental conditions? Maybe it’s because they have parents who are poor disciplinarians? 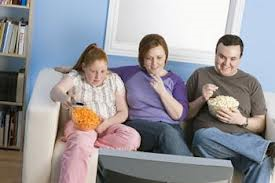 The parents not only let them eat whatever the hell they want, but let them lounge around the house all day doing as little as possible? This is analogous to the study I discussed in my post of 8/7/13, in which high consumption of soda pop was linked to certain behavior problems in children. Everyone seemed to wonder whether soda consumption caused these problems, instead of asking the more obvious question: How come these kids were drinking so much soda? Where the hell were the parents? The latest fad in both psychotherapy and self help is “mindfulness.” Mindfulness, which is derived from Zen Buddhism and first made popular in psychotherapy by Marsha Linehan (founder of Dialectical Behavior Therapy [DBT] for borderline personality disorder [BPD]) and others, is basically a set of skills that one can use to better tolerate and cope with emotional distress. 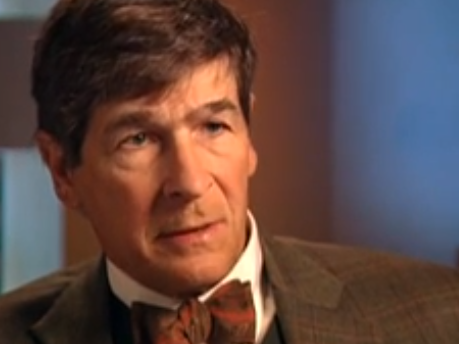 Fads in psychotherapy are nothing new. For a while there seemed to be a new one every few weeks, from "neurolinguistic programing" to "solution-focused therapy." Even therapists who swear by the gods of empirical correctness that the techniques of Cognitive Behavior Therapy (CBT) - of which DBT is a variant - are so much more powerful than any other known therapy interventions are subject to fads just like anyone else. Besides mindfulness, there is another current one, "Acceptance and Commitment Therapy (ACT)," which seems to all boil down to telling people that they "don't have to believe everything they think" in a variety of different ways. If CBT techniques are so darned powerful, why would practitioners need to keep discarding the old ones and coming up with replacements? Very amusing. “For clinical purposes, mindfulness can be considered a distinct state of consciousness distinguished from the ordinary consciousness of everyday living (Johanson & Kurtz, 1991). In general, a mindful state of consciousness is characterized by awareness turned inward toward present felt experience. It is passive, though alert, open, curious, and exploratory. It seeks to simply be aware of what is, as opposed to attempting to do or confirm anything. 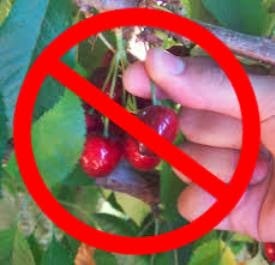 Thus, it is an expression of non-doing, or non-efforting where one self-consciously suspends agendas, judgments, and normal-common understandings. In so doing, one can easily lose track of space and time, like a child at play who becomes totally engaged in the activity before her. In addition to the passive capacity to simply witness experience as it unfolds, a mindful state of consciousness may also manifest essential qualities such as compassion and acceptance, highlighted by Almaas, R. Schwartz and others; qualities that can be positively brought to bear on what comes into awareness. These characteristics contrast with ordinary consciousness, appropriate for much life in the everyday world, where attention is actively directed outward, in regular space and time, normally in the service of some agenda or task, most often ruled by habitual response patterns, and where one by and large has an investment in one’s theories and actions. 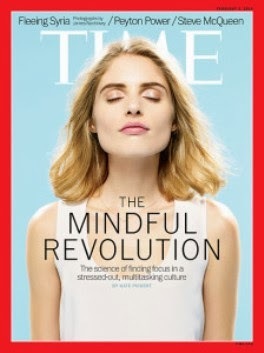 Mindfulness was even featured as a cover story on a recent issue of Time Magazine, pictured above. It often incorporates another concept pioneered by Marsha Linehan, radical acceptance. Radical acceptance means completely and totally accepting the reality of your own life. You stop fighting this reality and learn to tolerate it and go with the flow, so to speak. Practicing mindfulness techniques can indeed help you to stay calm when things are going badly without resorting to a tranquilizer or booze, although in a sense it accomplishes much the same thing. So therapists like to teach these skills to get their highly reactive, chronically upset, or emotionally unstable patients to calm down and not resort to acting out, such as cutting oneself or other self-destructive or self-defeating acts. So, is there anything wrong with that? Well, no, not intrinsically. Certainly remaining calm and not going off the deep end in the face of adversity is a very useful skill. Some people prefer learning skills to accomplish this over taking medication or having a stiff drink, although there’s nothing wrong with temporarily taking medications to keep calm either. But I started this post with the serenity prayer for a reason. Mindfulness is relevant to the first part of of the prayer – accepting things that one cannot change. What about changing things that need changing? Where does the wisdom to know which things can be changed and which cannot come from, and how does one go about changing them? People feel emotional pain for the same reason they feel physical pain – it is a signal to the person that something in the environment is wrong and needs attention. A metaphor I’ve used before: What if another person is walking behind you continually stabbing you in the shoulder with a pen knife. If I am a doctor, I can give you an opiate so you don’t feel the pain, and you can go on with your life. But would it not be much better to get the guy with the knife to stop stabbing you? Most of the non-psychotic people in therapy who are highly reactive, upset and emotional, and who are not in the midst of an episode of a major affective disorder, are reacting predominantly to the environment. Specifically, the social environment. Even more specifically, as anyone who reads this blog should know by now, the family social environment. Biological psychiatrists and some cognitive behavioral therapists seem to think that it’s all going on inside a patient’s head and has nothing to do with other people. Bull. Marsha Linehan herself acknowledges this. In her Skills Manual for Treating Borderline Personality Disorder, she lists the following goals of the "skills training" portion of DBT treatment. Goals of Skills Training: To learn and refine skills in changing behavioral, emotional, and thinking patterns associated with problems in living, that is, those causing misery and distress. Notice that she talks about becoming more effective in dealing with the interpersonal environment before she even gets to her distress tolerance skills - numbers 2, 3, and 4. Unfortunately, in practice, dealing with specific dysfunctional family interactions is one of the last things many DBT therapists get to, if they get to them at all. Marsha Linehan believes – with precious little of her beloved “empirical” evidence by the way - that the reactivity of patients with borderline personality disorder is both biologically innate AND caused by an “invalidating environment.” As I pointed out in an earlier post, the invalidating environment is not described well or very specifically - although it seems to be the patient's family of origin - nor is there anything written about what makes family members act that way. The Skills Training Manual is 180 pages long, including a section containing handouts that starts on page 105 and goes to the end. 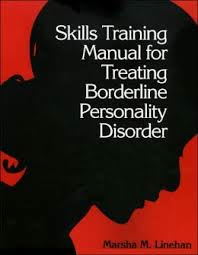 Of the first 104 pages, only 14 are devoted to interpersonal effectiveness skills, and most of that strongly implies that the interpersonal problems experienced by someone with BPD are due to their own skill deficits rather than the fact that they are dealing with people who are difficult (if not nearly impossible) or frankly abusive or distancing. Blaming the victim. In the handout section, interpersonal effectiveness skills are only addressed from pages 115-133. The rest is all about emotional regulation. Almost all of the skills described in the interpersonal skills section are basic assertiveness skills or are descriptions of “myths” about interpersonal effectiveness such as “I can’t stand it when someone gets upset with me.” Is that really the worst thing that can happen in a family? Listing "myths" in a way that classifies them as some of cognitive therapy's irrational beliefs means that the problem is being thought of as a flaw that exists squarely in the mind of thinker. Paradoxically, telling a person with BPD that their thinking is skewed is incredibly invalidating! Besides, when the patient with BPD says "The other person would get upset with me," what they REALLY mean most usually is "All hell would break lose!" In all of the DBT handouts, I find only one mention of the fact that it may be the environment that is the problem, not the person in the environment. In the Interpersonal Effectiveness Handout #3 on page 117, it concedes that "Characteristics of the environment make it impossible for even a very skilled person to be effective." So what happens if someone with BPD gets assertive with their families? In order to find out the true answer to this question for patients in therapy, the therapist usually needs to ask a version of the Adlerian Question such as: "What would happen if I could wave a magic wand and you could fearlessly stand up for yourself with your parents, and tell them to quit mistreating or invalidating you? So what are the answers I get when I ask for details - without letting the patient go off on a tangent - about exactly what would happen next if the parents were "upset" with the patient? Oh, nothing much, he said sarcastically. Just responses that include such minor inconveniences as violence, suicides, suicide threats, increased interpersonal chaos, increased drinking and drug use, parental infidelity or a break up with the patient being blamed for it, further invalidating the patient, taking anger out on other family members, literally exiling the patient or giving him or her the silent treatment for weeks on end. Just to name a few. Nothing too bad, really. So back to the serenity prayer. Are these things one can change? You betcha!! It’s not easy, or the person could easily figure out how to do it and would have already proceeded. It’s emotionally trying. It requires patience, persistence in the face of adversity, and ingenuity. It usually requires the services of a therapist who knows a little about the family dynamics of BPD. So if your therapist is telling you to just tolerate the person stabbing you in shoulder with the pen knife, fire your therapist and find one who can actually help you. In part I of this post, I discussed the issue of inductive reasoning, and how it can be a source of quite valid scientific evidence. This brings up the question of what is a valid conclusion based on inductive reason versus an invalid conclusion based on one person’s personal experience. The following comes from my book, How Dysfunctional Families Spur Mental Disorders. Anecdotal evidence in medicine is often misleadingly defined as evidence based on only one clinician’s personal experience with a treatment or diagnosis in question. If that is the standard that is to be used, clearly many reasons exist to question the validity of inferences drawn from these experiences. Individuals are well known to have various biases that color their observations and the conclusions they draw from them. They may have blind spots because of their own emotional conflicts. They may ignore evidence that is contradictory to their point of view. Their observations may be limited by their pet theories about the phenomena in question. Perhaps even more importantly, they may be seeing unusual cases that are not representative of more “typical” cases in one way or another – a so-called selection bias. An obvious case of selection bias was illustrated by a statement I heard made at a conference by a family therapy pioneer, the late Jay Haley. I had always admired Mr. Haley for many of his fascinating and utilitarian ideas and observations. However, in this case he betrayed some ignorance. He stated that he did not believe antidepressant drugs were ever effective because none of the patients referred to him had ever responded to them. Of course, his being a well-known family therapist who did not believe in medication had a tremendous effect on exactly who would be referred to him. Not everyone does respond to drug treatment. Anyone who had responded to an antidepressant would, in all probability, rarely if ever darken his door. Hence, with his sample, he would be misled into thinking that the medicines were not effective for anybody. This form of bias is very common and can be quite subtle. For example, it can affect one’s beliefs about such matters as racial stereotypes or a determination of how trustworthy members of a city’s police department are. Do these types of biases invalidate all clinical experience? Hardly. First of all, we have to distinguish between the descriptions of the actual events contained within specific anecdotes, and the conclusions or inferences which are drawn from these events. Let us first examine the descriptions of what actually happened. A specific anecdote may be accurately observed and described, or not so accurately. If important details are altered or left out entirely, the anecdote may indeed be worthless. However, the exact same thing can be said about empirical studies. Important details may not even be known to an observer. Particularly with observations of family behavior within a practitioner’s or researcher’s office, important information is almost always hidden, either by design or unwittingly. In addition to the fact that one does not see the whole picture in any single context, there is also a basic problem inherent in the nature of interactions between intimates. With verbal behavior, for instance, linguists refer to a quality called ellipsis. What this means is that in conversations among people who have known each other for a while, certain information is not spelled out verbally because the other person already knows it. Strangers such as therapists who are listening in and who have not been privy to these prior experiences may think they know what the family is talking about, but they may in reality be completely clueless. Let us now consider the separate issue of conclusions that are drawn from anecdotes, as opposed to their description. The questions raised by an accurately-described clinical observation can be quite valid, but the answers inferred from it can be completely wrong. Conclusions based on clinical “anecdotes” exist on a continuum from relatively accurate ones to those that are extremely biased to those that are based on spectacular inferential or logical leaps of faith. · They are based on a sample that one has a reasonable expectation is at least somewhat representative of a larger population. · They make use, not just the practitioner’s observations, but of the observations of other professionals whom one knows to be reliable and open minded. These clinicians should also be ones known to take the time with their patients necessary to take a complete history. Widespread clinical experience by competent clinicians is something upon which someone can make a very valid inductive conclusion, and is not just “anecdotal evidence.” In fact, conclusions drawn from this source tend to be more accurate that those drawn from so called “empirical” studies. Many dangerous side effects from drugs that did not show up in the initial drug studies have been discovered in this manner. · They make use of other informants besides the patient when possible. 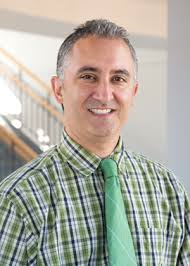 · They take into consideration that people and their family members behave quite differently behind closed doors than they do in public, and therefore if at all possible include observations of patient behavior when patients are unaware that they are being observed. · They are based on longitudinal observations. That is, the patients on whom conclusions are based have been seen on multiple occasions over an extended period of time. · They are not contradicted by commonly observed examples of behavior in everyday life related to the behavior in question. · The person proposing the conclusion acknowledges potential biases, such as a financial stake in a certain drug or allegiance to a specific school of therapy, and acknowledges his or her limitations. What former president of the Society of Clinical Psychology, Gerald C. Davison, calls “ex cathedra statements based upon flimsy and subjective evidence,” a hallmark of some psychotherapy gurus, are always highly suspicious. In fact, charlatans are relatively easy to spot. They have a tendency to sidestep challenges. I will give an example of this shortly. · The conclusions reached should lead to predictions of patient behavior under certain circumstances that prove to be accurate in a significant number of cases. This is called predictive validity. Of course, human behavior being as unpredictable as it is, at times the predictions will not be completely accurate even if the conclusions are valid, and so this fact must also be taken into account. · Conclusions based on anecdotes about treatment efficacy or the reasons for certain observed behavior should consider several alternate possible explanations for the observations. If several explanations are possible, one must make a judgment about which ones are more likely and which are less likely based not on the anecdote alone, but on all sources of data available. These sources include empirical studies, but also include observations from everyday life, as well as material seen in some relatively reliable media such as reputable newspapers. Now of course stories in the media also do not tell the whole story or may be biased, so one needs to realize again that one can be fooled, and take this into account as well. I used to believe the common myth, for example, that in nature under certain conditions the animals called lemmings would follow each other off a cliff and commit mass suicide. I was surprised when I learned that this was untrue because I had as a child in 1958 seen a film clip of said mass suicide that was part of a Disney “True Life Adventure” nature movie called White Wilderness. I later learned that, because the Disney crew could not find a real example, they had from behind the scenes driven the group of lemmings off the cliff for the cameras. On the other hand, many people believe that men have never been to the moon and that films of the moon landings were made in a movie studio using special effects. I must say, I tend to believe that those film clips are real, but few know for certain. · If other anecdotes about similar patients and treatments seem to contradict the conclusions based on a given anecdote, an attempt should be made to account for this difference. As an illustration of the latter point and an example of a the “quick step side step” in scientific presentations. I once heard an expert present new evidence from neuroscience that certain capabilities of which human brains are capable seem to develop only at certain times during early childhood development. This brain development could be adversely affected by a baby’s early social environment. Of course, that is somewhat true. Like psychoanalysts will, however, the expert went on to conclude that if the adverse early experiences had taken place, the child had no chance of growing up to be normal. I raised my hand and asked about those children who come from horribly adverse backgrounds, are adopted away at an age past the alleged crucial developmental time, and yet still turn out wonderfully. The expert then changed the subject without ever addressing my question. If the data doesn't fit your pre-conceived conclusions, just change the subject! Remember, there are NO empirical, placebo-controlled, double blind controlled studies on whether parachutes reduce the incidence of deaths or injuries after falling out of airplanes. Or that appendectomies are effective in preventing complications and deaths from appendicitis. And yet we all take those things for granted.